Nebraska football fans are greeting the start of fall camp with optimism, as new head coach Mike Riley prepares for his first season in charge. Before a ball is snapped in anger, the possibilities for Nebraska’s 2015 season are limitless, and the winds of change that have blown through Lincoln are giving hope to all of the scarlet and cream faithful. So let’s run with that optimism a little, and see what Nebraska’s season would look like if everything broke the right way. Here’s the big things that would need to happen for Nebraska’s 2015 season to sparkle, and what the end result might be. The numbers tell a pretty clear picture, especially the touchdown-to-interception ratio. Neither completion ratio is stellar, but a sub-.500 ratio is a recipe to lose games. The TD-to-INT ratio, though, is the real differential between the two numbers. It may be a small sample size, but Armstrong’s ratio difference between wins and losses says a lot about why those outcomes came about. 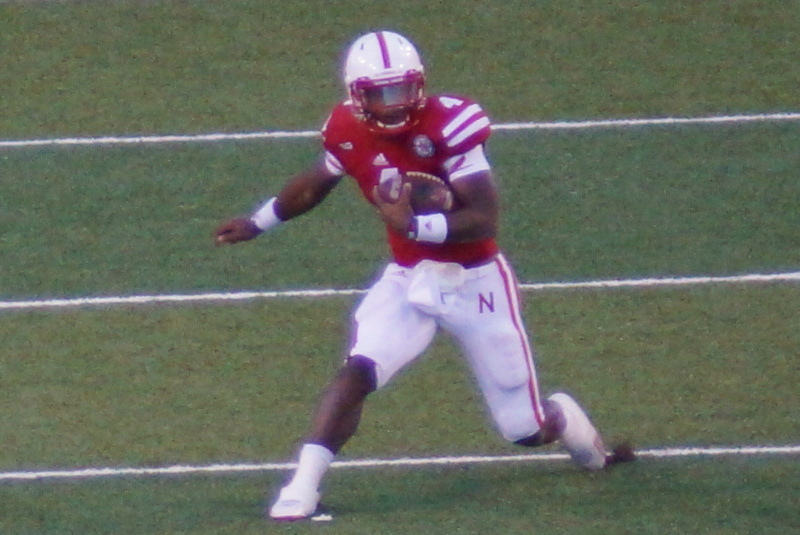 If Armstrong is able to post – or improve – his statistics throughout the season, Nebraska’s chances for a stellar season improve dramatically. While there are question marks for the whole team with a transition to a new head coach, the two biggest areas of concern are at linebacker and offensive line. At linebacker, Nebraska only returns one player (Josh Banderas) with any starting experience, and only two (Banderas and Michael Rose-Ivey) with any starting experience at all. It will be up to returning players Luke Gifford and Marcus Newby, along with incoming freshmen like Dedrick Young and Mohammed Barry, to make an impact at a critical position for the Blackshirts. Similarly, Nebraska’s offensive line has only one player returning with significant starting experience in left tackle Alex Lewis. All four other offensive line positions have question marks, including the critical position of center. It’s a little frightening to think that Nebraska is so unsettled at such critical positions. But if Nebraska is able to make things work right off the bat at both linebacker and offensive line, then the strengths NU has at other positions should shine through. Scoff if you want, but Nebraska is set up – if everything clicks – to make college football’s final four. It would likely being 12-0 going into the B1G title game. That would mean wins over BYU and Miami in the non-conference, a daunting but not impossible task for a new head coach. The conference schedule actually sets up well for Nebraska. The most difficult games – Wisconsin, Michigan State, and Iowa – are all in Lincoln. The most challenging road game is at Minnesota, but the change in defensive scheme should make the Gophers a better matchup for Nebraska. So let’s say Nebraska makes a perfect run through the regular season, likely matching up with the defending national champion Ohio State in Indianapolis. The Buckeyes would be a prohibitive favorite, and should be given the relative talent profiles of the two teams. However, Ohio State wasn’t a dominant force last year. It’s easy to forget after the Buckeyes demolished Wisconsin in the B1G title game (with then-coach Gary Anderson leaving Madison days later) and steamrolled through the playoffs, of course. But Ohio State also lost to an average Virginia Tech team. It also went to overtime against Penn State and struggled mightily with Minnesota. Nebraska might not be on a talent level with Ohio State, but it certainly is on a level with the teams that either beat or ran Ohio State very close in 2014. If those teams could play with the Buckeyes, there’s no reason a 12-0 Nebraska couldn’t rise up for one game. Of course, this is a best-case scenario, with the new offense and defense clicking right away and the injury bug staying away from Lincoln. But if all those things happen, a surprise Playoff appearance isn’t an unachievable goal for Riley in year one.